FWR Home | Our fishing blog | Our YouTube channel | Join FWR on Facebook! Not really an incentive to purchase online in advance as there is no discount. The Vancouver Boat Show offered such - it was only a couple of dollars - but it almost paid for a coffee if you bought it there at BC Place. Be sure to check out the Fly Fishing Film Tour showings as well. Thanks Rod - I was looking for info regarding the seminars. Friend and I are going on Sunday to check things out - maybe attain a deal or two. You going to be there again? The incentive is to bypass that bloody lineup we usually have to deal with upon arrival! My time is worth money to me, and waiting in line in the rain for 15-20 minutes is worth it all by itself, IMO. 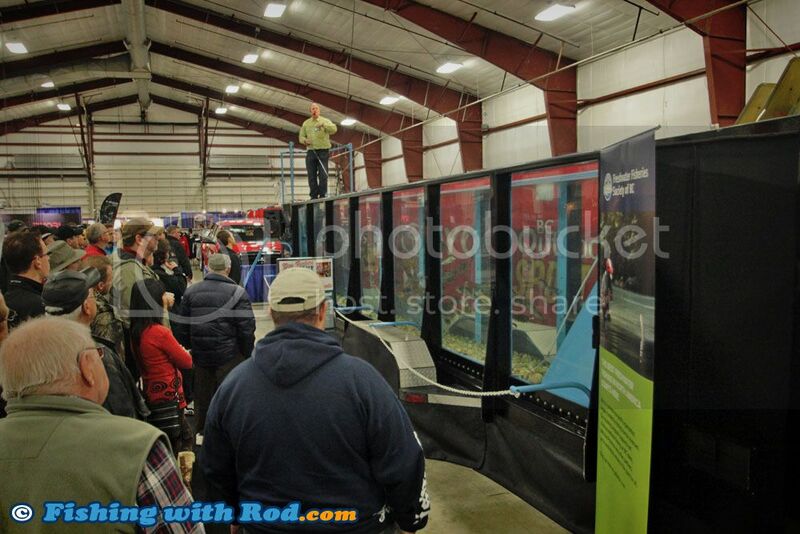 New this year at the show is the giant fish tank for the casting seminars. Barely waited in line to purchase the tickets - lots of workers willing to take our money. Oohed and Aahed at all of the flashy shiny things (wish I had a large garage/ shop ... and money). Learned some things at the seminars we partook in. Even bumped into some friends amidst all the people that were there. Bought a few deals from a few of the booths.